In an astronomically unlikely coincidence, a star exploded as a nova in the sky over the Supernova Planetarium & Visitor Centre less than a week after its inauguration. An image of the dwarf nova V392 Persei was captured by ESO photo ambassador Petr Horálek on 2 May 2018. It shows a wide angle view of the evening sky over the ESO Supernova, looking west-northwest. 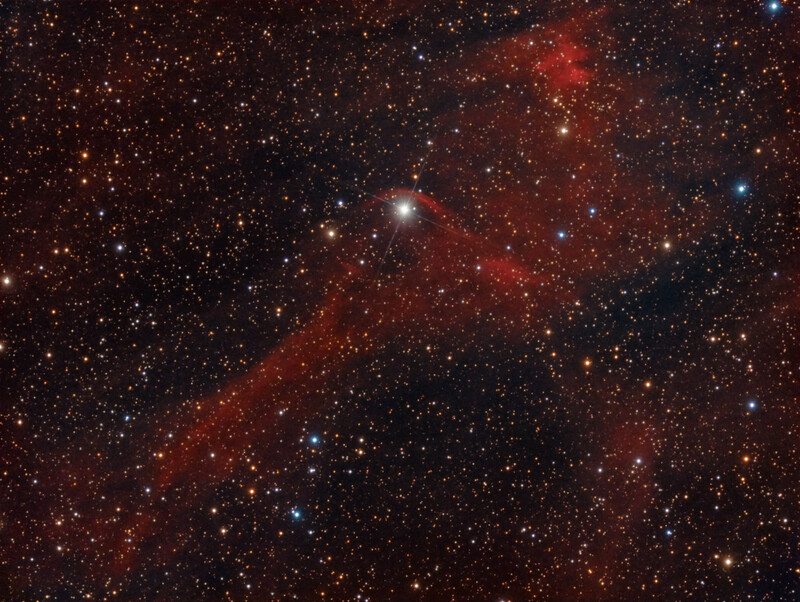 The position of the nova over the ESO Supernova is marked on the wide view with an insert showing a zoomed view of the area taken with same camera but using a different lens. In this image the nova is easily identifiable due to its typical orange colour. Dwarf novae occur as a result of a white dwarf star accreting material from its lower mass, binary companion. The material from the disc is compressed as it is transferred to the surface of the white dwarf where it is then heated and ignites into an very powerful (and bright) explosion. The case of nova V392 Persei is, actually, a much rarer and more brilliant event. There has only been one occurrence in the history of dwarf novae observations where a star has transitioned to a fully fledged and much brighter nova. This was V1213 Centauri in 2009 and now we have the second such event, V392 Persei. 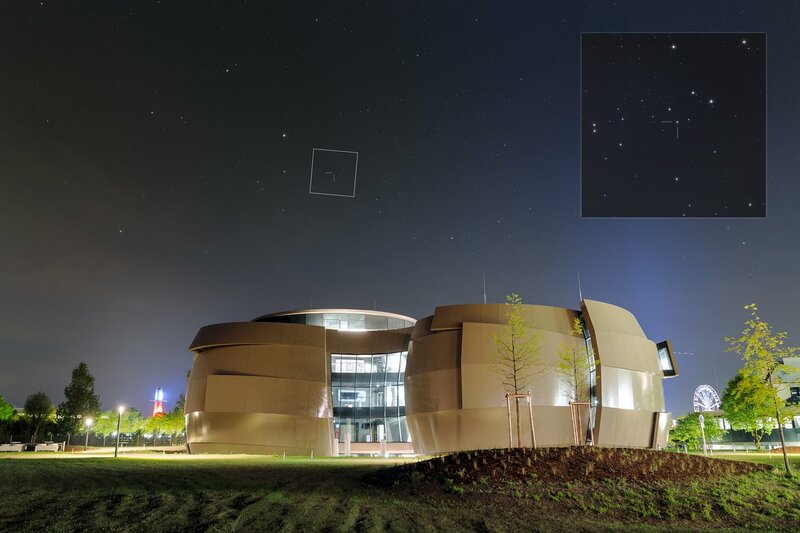 The image is symbolic as the ESO Supernova building is designed to look like a double star system, very similar to the one involving dwarf nova V392 Persei, which would eventually result in one of the stars exploding as a supernova in a brilliant flash of light — hence the centre’s name. In the darkness of the distant Universe, galaxies resemble glowing fireflies, flickering candles, charred embers floating up from a bonfire, light bulbs softly shining. 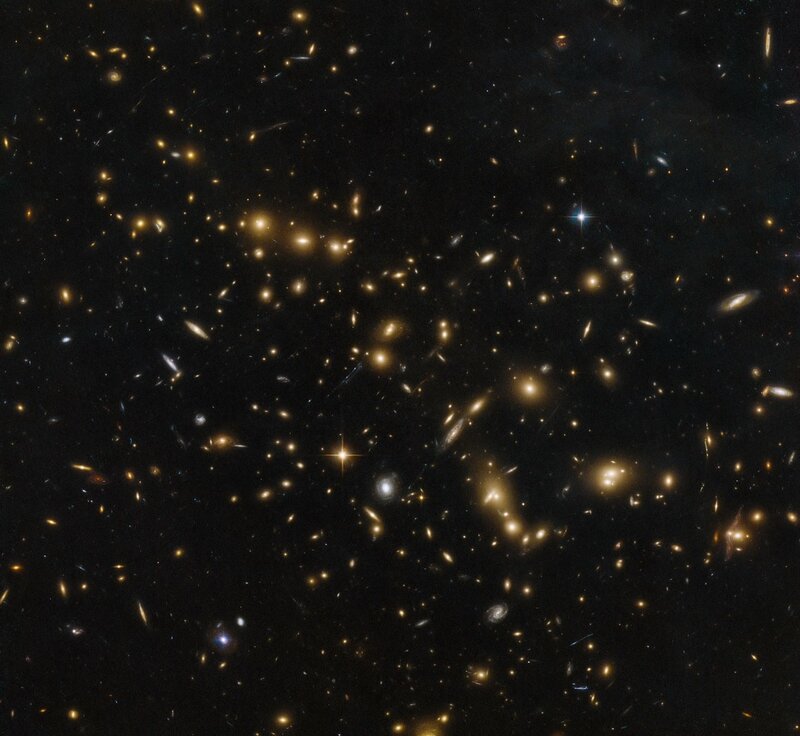 This Picture of the Week, captured by the NASA/ESA Hubble Space Telescope, shows a massive group of galaxies bound together by gravity: a cluster named RXC J0032.1+1808. Expected to launch in 2018, the JWST is designed to see in infrared wavelengths, which is exceedingly useful for observing distant objects. 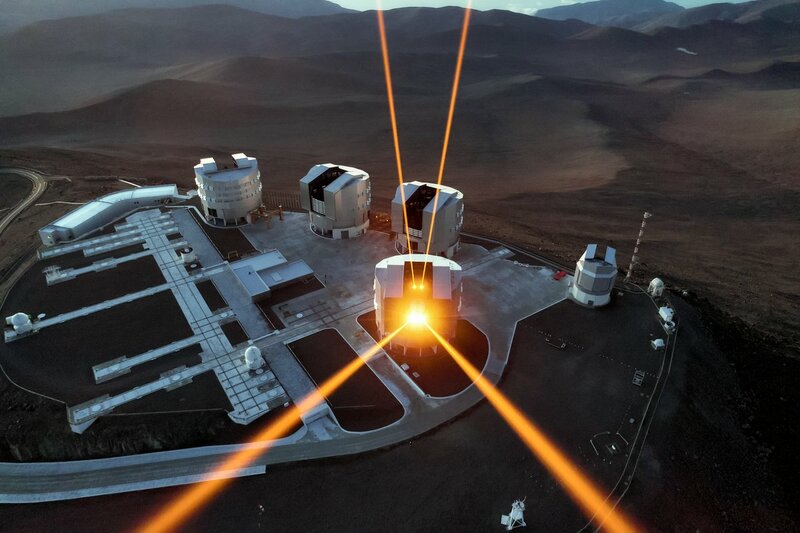 As a result of the expansion of the Universe, very distant objects are highly redshifted (their light is shifted towards the redder end of the spectrum) and so infrared telescopes are needed to study them. While Hubble currently has the ability to peer billions of years into the past to see “toddler” galaxies, the JWST will have the capability to study “baby” galaxies, the first galaxies that formed in the Universe. This amazing capture was taken using a drone flown over the VLT by ESO Photo Ambassador Gerhard Hüdepohl. NGC 1032 is located about a hundred million light years away in the constellation Cetus (The Sea Monster). 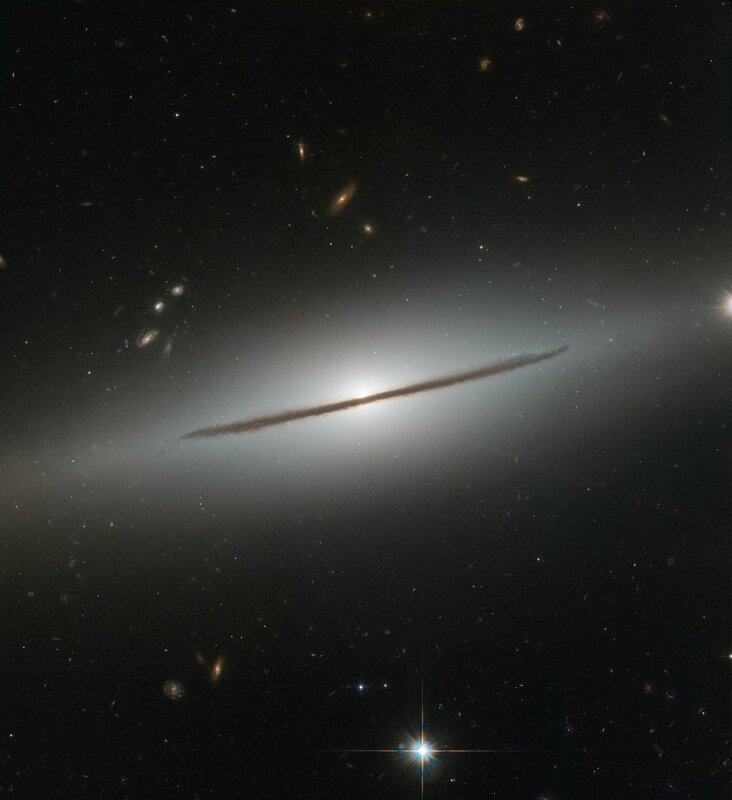 Although beautiful, this image perhaps does not do justice to the galaxy’s true aesthetic appeal: NGC 1032 is actually a spectacular spiral galaxy, but from Earth, the galaxy’s vast disc of gas, dust and stars is seen nearly edge-on. 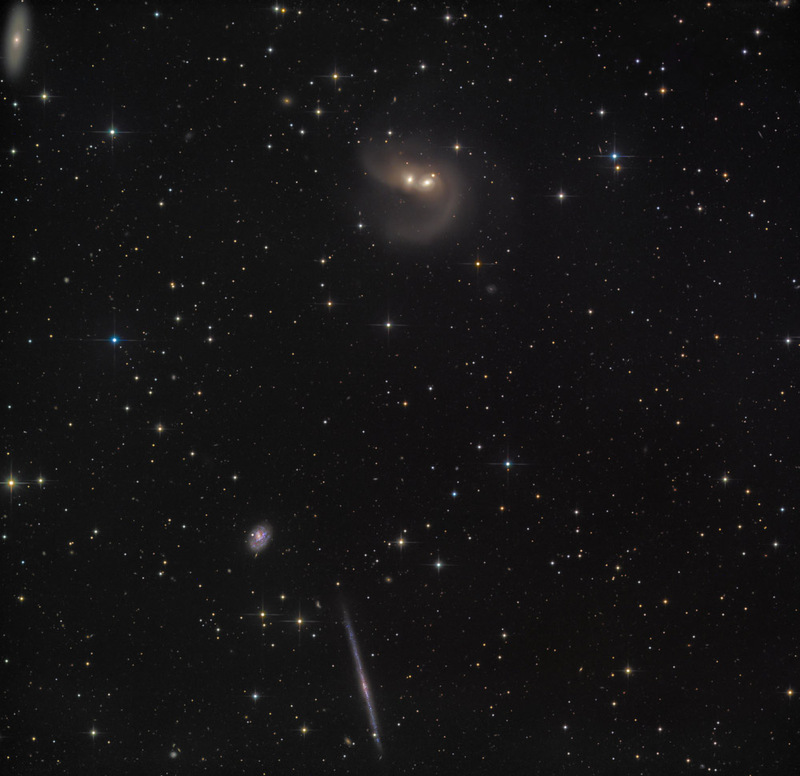 A handful of other galaxies can be seen lurking in the background, scattered around the narrow stripe of NGC 1032. Many are oriented face-on or at tilted angles, showing off their glamorous spiral arms and bright cores. Such orientations provide a wealth of detail about the arms and their nuclei, but fully understanding a galaxy’s three-dimensional structure also requires an edge-on view. This gives astronomers an overall idea of how stars are distributed throughout the galaxy and allows them to measure the “height” of the disc and the bright star-studded core.